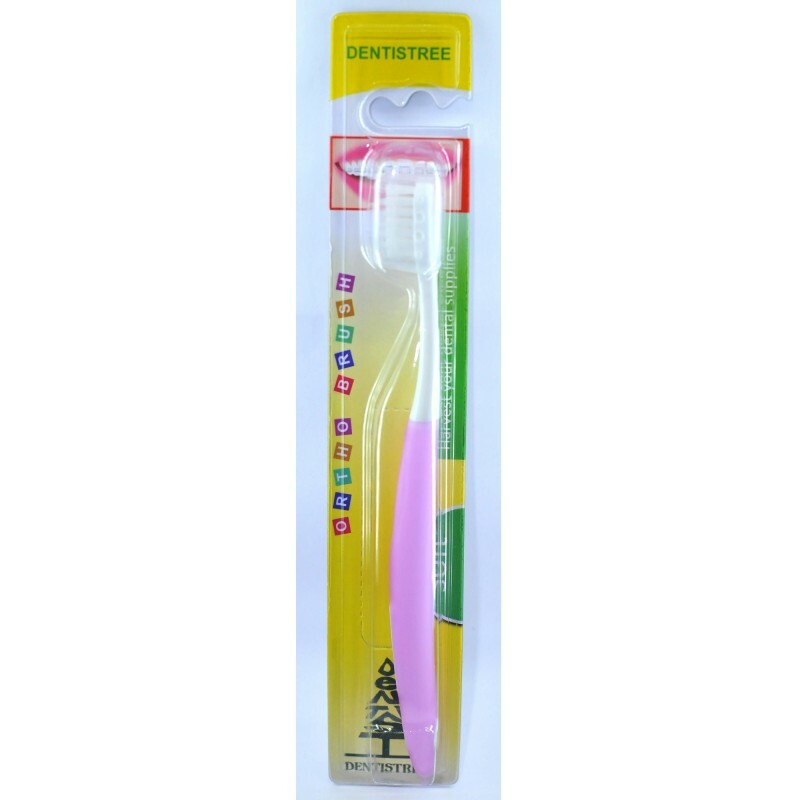 U-Type brush shape for effective cleaning around brackets and wires of orthodontic appliances. 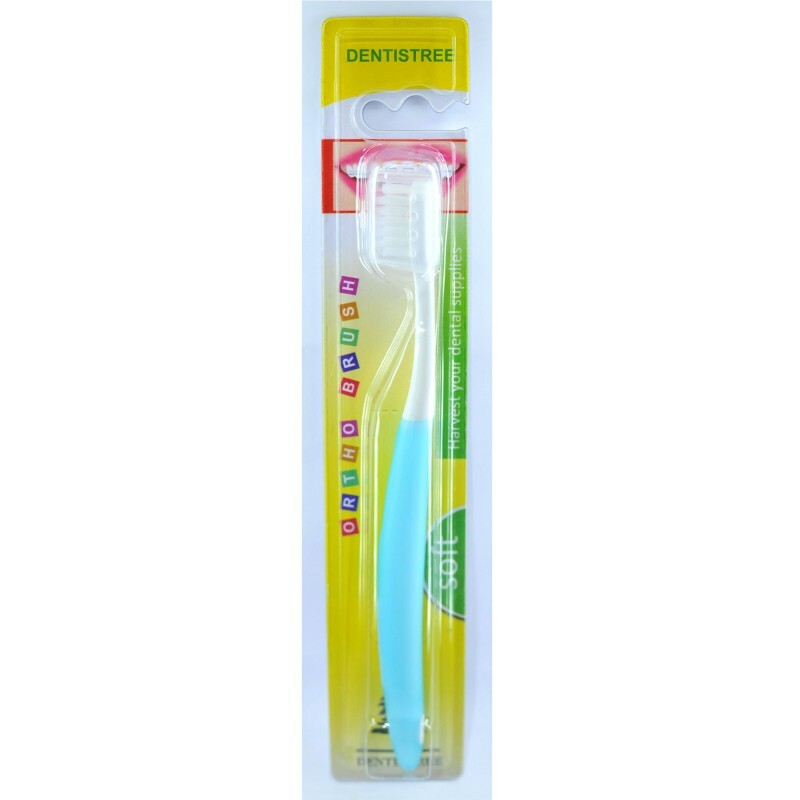 Soft and smooth bristles for easy removal of food-drags and plaque between orthodontics appliances and teeth. 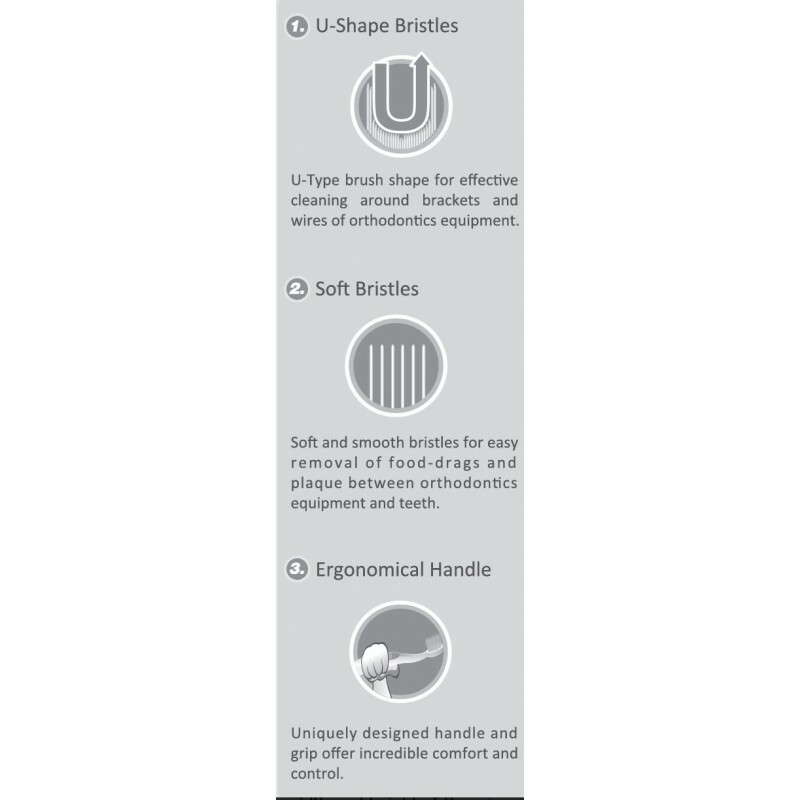 Uniquely designed handle and grip offer incredible comfort and control.